In the first week of July 2012, Krauss-Maffei shipped one of its new miracle weapons to the Saudi desert to test the Leopard 2 under extreme heat conditions. The Defense Ministry in Berlin sent along an officer with the German Armed Forces, the Bundeswehr, to ensure safety during test firing of the tank’s guns. The successful desert test didn’t go unnoticed by the region’s sheikhs. The government of Qatar has already shown interest in buying up to 200 tanks, a deal that, should it come to fruition, could be worth up to €2 billion ($2.6 billion). The Saudis, for their part, have already become loyal customers. The German government responded positively to their request to buy up to 270 of the Leopard 2 tanks. In a new request, the sheikhs have petitioned the German government for its approval of the purchase of a few hundred “Boxer” armed transport vehicles. German high-tech weapons are a hot commodity among Arab potentates and other autocrats. They haven’t failed to notice that the coalition government of Chancellor Angela Merkel’s center-right Christian Democratic Union (CDU) and the pro-business Free Democratic Party (FDP) has steadily relaxed Germany’s otherwise restrictive arms export policy. On December 6, 2012, Germany’s cabinet authorized the stationing of German Patriot air defense missiles on the Turkish border with Syria as part of a NATO mission ‘to help protect Turkey from possible cross-border attacks’. The mission involved up to 400 troops from the German military, the Bundeswehr, and also included personnel for AWACS surveillance aircraft and commando units. The mandate had a one year limit with the possibility of extension. 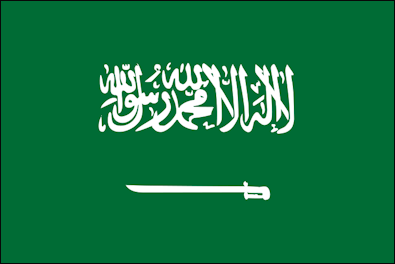 December 12, 2013 – Why Is Saudi Arabia Buying 15,000 U.S. Anti-Tank Missiles for a War It Will Never Fight?